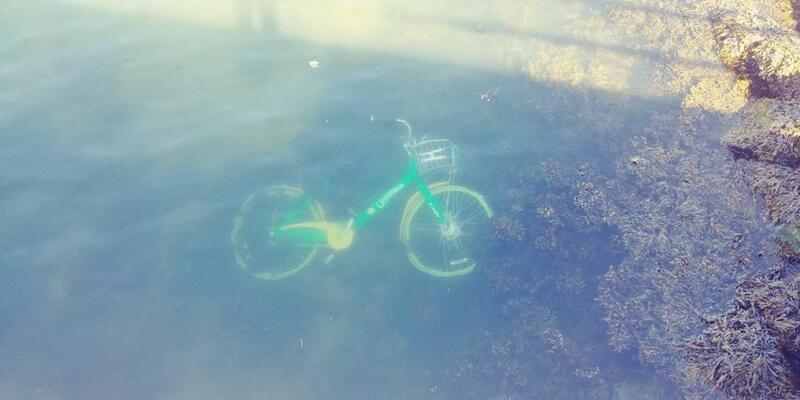 A LimeBike was spotted floating in the water in East Boston. If a bike-sharing war breaks out in your city, you’re lucky. If a few dockless bicycles end up underwater, it’s a small price to pay for faster commutes and a smaller carbon footprint. And if venture capitalists splurge on wacky bike and electric-scooter systems, cheer them on — instead of treating these small, eco-friendly alternatives to cars as a nuisance or a threat. Suddenly, there are a lot more ways to get around. 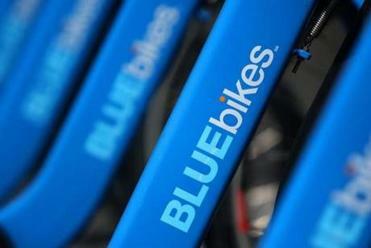 BlueBikes, formerly Hubway, has been expanding its network of docks and bikes in Boston, Brookline, Cambridge, and Somerville. Communities to the north and west have joined up with LimeBike and Spin, whose bikes don’t need stations; they can be picked up or dropped off anywhere. But far from rejoicing as their transportation options multiply, some people are lashing out — such as the vandals who’ve thrown dockless bikes into ponds and harbors — and others are panicking. In Belmont, police are begging citizens to stop calling 911 to report LimeBikes in their neighborhoods. Relax, everybody: The bikes aren’t armed. They don’t bite. Here’s a better option: Cities should welcome — indeed, throw down rose petals at the sight of — any innovation that lets you go downtown without dragging along two tons of steel and aluminum. If you’re driving alone at rush hour, you’re helping yourself to a lot more real estate than somebody on a scooter. Getting cars off the road should be as easy as riding a bike. Urban transportation is a geometry problem. The Red Line at its peak — six-car trains running every four minutes — can move 15,000 people an hour. A dedicated bus lane, by some estimates, serves about 6,000 people. A bike lane of the same width can serve about 5,200 people. A standard vehicle lane, in contrast, serves 900 cars and trucks an hour — many of which have only one person in them. Given these numbers, cities should be redesigning streets to accommodate bikes, scooters, skateboards, motorized unicycles, and other vehicles that take up very little space. As cities grumble at bratty “shared micro-mobility” startups like Bird, investors see an opportunity. Uber just bought Jump Bikes, an e-bike company. Lyft bought Motivate, the company that operates BlueBikes. The rapid evolution of this sector is creating funny new cultural divides. In the lead-up to the annual World Naked Bike Ride last weekend, dockless bike companies expressed enthusiastic support for the event; LimeBike, for instance, welcomed “all who dare to bare.” The dock-based BlueBikes has been a holdout, urging riders to wear clothing. The world moves fast: One day, you’re the cutting edge of urban transportation. The next, you’re the pants-wearing embodiment of conventionality and prudery. Not every would-be disruptor will survive; the Chinese bike-sharing company Ofo is withdrawing from Lynn, Quincy, and Worcester. But letting a thousand bike and scooter startups bloom can help a city figure out who’s not being served by the existing transportation system. For frequent users (including me), bike shares are a huge quality-of-life improvement, shortening travel time between places — say, Fenway and the South End — that aren’t well connected by transit. But bike share, the evidence suggests, is far more popular among men, adding to the perception that “shared micro-mobility” really means “hobby for pampered tech bros.” Yet, according to a fascinating study covered by Wired this past week, women are even more enthusiastic about e-scooters than men. Duh, of course, said some women who saw the study; it’s hard to bike in the clothes many women wear to work. But, like everyone else, they still need better transportation options than they have now. As the streetscape evolves, etiquette should follow. Memo to dockless bike-share riders: Don’t park a bike in a way that creates a tripping hazard or would stop a wheelchair user from getting by. Still, let’s not forget: Cars get in people’s way, too. Yet when people want to leave their 6-foot-by-16-foot boxes on city streets for free, we treat it like a civil right. A century ago, car makers didn’t ask local officials before putting their vehicles on streets dominated by pedestrians and horse-drawn carriages; they just demanded accommodation. Likewise, Uber and Lyft asked forgiveness, not permission — and got it. In an interview Thursday, Walsh said he initially envisioned moped-like scooters, not the slimmer, Razor-like ones that Bird uses. Still, he’s worried that people will use the new vehicles on sidewalks — which they shouldn’t — and that riders will get hurt on congested roadways. “To introduce another mode of transportation onto the street without fully vetting it could be dangerous,” he said. Yet the bike lanes and cycletracks that Cambridge and Boston have already built create a virtuous cycle: Protected routes for bikes create opportunities for other small vehicles that travel at similar speeds. If dockless bikes and e-scooters are popping up in odd places, it’s only because people are eager for new ways to get where they need to go. Far from adding to congestion, bikes and scooters are part of the solution to it — if only we give them the space, instead of hauling them away.